Are you concerned about your overall oral hygiene? At Narre Warren Dental Care, we can assist with common dental issues and help you to be proactive about the health of your mouth with general dentistry. Rather than visiting the dentist only when you have a problem, we recommend that you have regular checkups. It involves a thorough examination of your teeth, gums, mouth, jaw and any restorations you have. We’ll assess whether you need any further treatment and discuss these options with you. A scale and clean can remove the buildup that won’t go away despite proper brushing and flossing habits. We’ll remove tartar and plaque, discuss improving your hygiene habits, and eliminate any symptoms of gum disease. 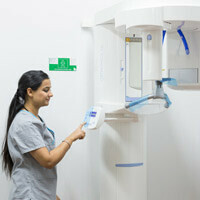 Our dental team uses instruments, ultrasonic vibrations and mist sprays to wash away bacteria. A fluoride treatment is usually the final step. Convenient appointment times are available. Contact us today to get started!